Smart homes have recently moved out of the realm of science fiction and become a staple of high-tech lives. But for as amazing as smart homes already are, they still require some amount of tactile interaction in order to work. A group called Thought-Wired is working on changing that with an awesome smart house system that will allow users to control all of their home’s systems with nothing more than a thought. 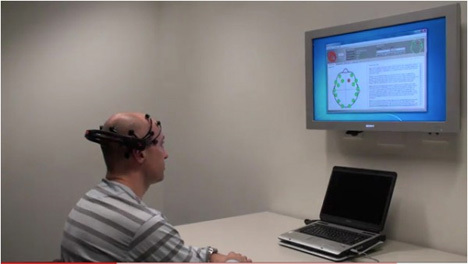 The system, known as NOUS (Neuro-Operated Utility System), would use a brain-computer interface to control almost everything in the house. From the curtains to the lights to the HVAC system, the NOUS could make it super-simple and completely hands-free to keep a household humming. A user would have only to slip on the headset, then brainwave-reading technology would take over. 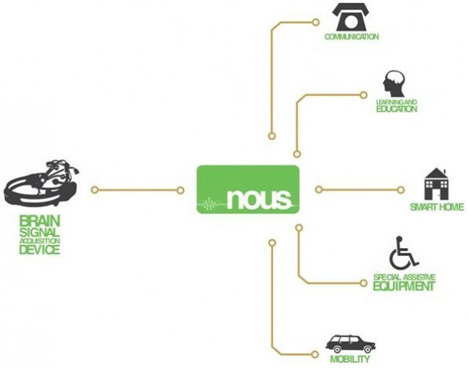 The concept is being developed mainly for the benefit of those with severe disabilities. It is still in the early design and development stages at the moment, but the team estimates that it will cost a fraction of what current smart home systems cost: to the tune of around $300 versus the standard multi-thousand-dollar price tag. See more in Cybernetics or under Technology. May, 2011.